【Dual Function】 CE & FDA Certified. Both ear and forehead temperature reading. Automatically transfer between two modes. 【Instant & Accurate for All Ages】It comes with battery. Equipped with infrared and digital technology to sure measurement accuracy in seconds. Suitable for both babies and adults. Broadly applicable for home, workplace and kindergarten. 【Fever Warning】Sharp & short beeps alarm when results above 37.5℃. 【Easy Operation & Reading】Smart memory records the last 12 temperature readings. One key operation and reading completion reminder. 【After-Sales Service】 Any quality issue within 1 year, a new replacement will be given for free. mso You're very welcome I did some reading about it because I wanted to buy one myself. Good find, Im in need of a new one. children at risk, by going cheap, lesson learned. Arrived today and have tested it out a few times, so far so good. 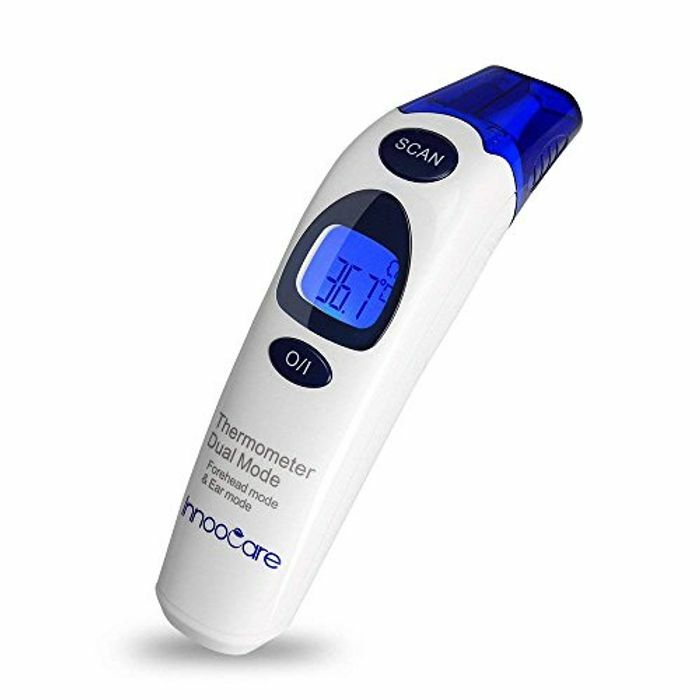 Have been to hospital lately and they used an armpit thermometer on my lo, very uncomfortable and impractical as it's hard to get small ones to sit still for the length of time required. This works perfectly and much more practical then previous one we used. Arrived today, one for me and one for my niece. Very disappointed to be honest. On testing mine, with myself and my 2 year old, I took my temps several times had a range of temperatures including 39.8c.... I do not have a temperature and the other thermometer showed 35.7c. Needless to say I am returning them both and looking for another one.